Guests who pre-register online and do not wish to purchase a Workshop or Crop ticket may take advantage of online discount admission sales for $8.00 each. Friday online admission includes the "Early Bird Hour" at no extra charge. 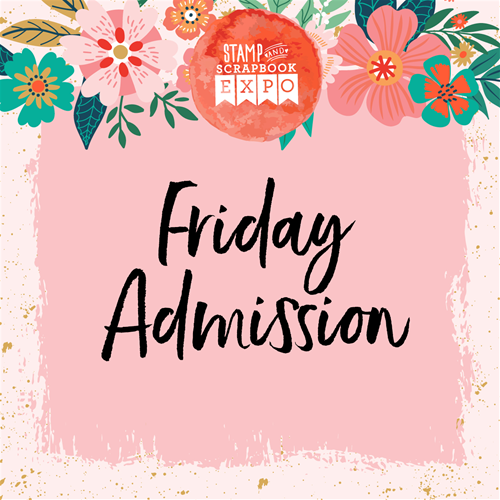 Show floor hours are Friday "Early Bird" from 9am-6pm. Friday General Admission 10am - 6pm. Be sure to come early to fully enjoy all the Friday Early Bird Festivities!